Concerta2 is Revel's newest speaker series. All models in the line come with what the company says are "modern drivers," at least when compared with their predecessors. Seen here is the F36, a two-and-a-half-way floorstander ($2000/pr. ), along with the two-way C25 center-channel ($750). The . . .
. . . two-way M16 ($900/pr.) bookshelf model can be used as a main speaker or as a surround speaker. Rounding out the line is the smallest floorstander, the F35 ($1500/pr., not shown), and the matching . . .
. . . Concerta2 B10 subwoofer ($1500), which features a 10" driver powered by an 800W amplifier. Theta Digital's latest version of its Dreadnaught amplifier, the Dreadnaught IV, now features Ncore class-D amplifier circuitry from Hypex. This modular amp is designed to accommodate up to eight channels and has a built-in power supply with dual toroidal transformers, and has four slots designed to hold the company's proprietary Theta amplifier boards. Each board can be configured with one or two of the Hypex NC1200 amp modules, which provide up to 225Wpc into 8 ohms. The board can also be configured in bridged mode with two of the NC1200 modules to provide 400W into 8 ohms. Prices for the IV vary by configuration, but a 225Wx7 version will retail for $9995 and will be available in April. McIntosh’s D100 digital stereo preamplifier has been replaced by the new D150 (top). 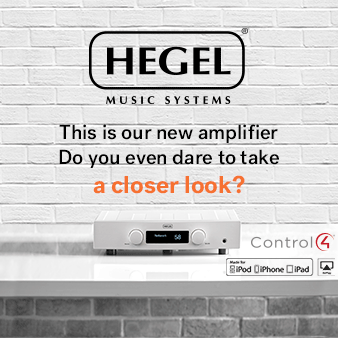 The new model still features the excellent ES9016 SABRE 32 Ultra DAC and a high-quality built-in headphone amplifier. The USB input now supports 32-bit/192kHz signals, and also supports DSD64, DSD128, and DXD. There is also a new DIN connector to connect to select McIntosh SACD/CD players for optimum data transmission. The D150 should be available at the end of January and is priced at $3000. A new SACD/CD transport, the MCT450 (below), will also be released in February or March for $3500. D'Agostino Master Audio Systems introduced a new line of amplifiers that are, for now, called Cinema Standard, but likely will be called something else when released. The two models are a three-channel version ($15,900) and a stereo variant ($12,900). The power rating of each is 250Wpc into 8 ohms, 500Wpc into 4 ohms, or 1000Wpc into 2 ohms. The amplifiers are bridgeable to 1000W into 8 ohms. The three-channel version weighs about 120 pounds. D'Agostino Master Audio Systems also introduced the Momentum Lifestyle integrated amplifier (shown with company founder and chief designer, Dan D'Agostino), which features a . . .
. . . built-in streaming device. The Lifestyle is rated at 200Wpc and is based on the company's Momentum Integrated. The streamer functionality includes Tidal, vTuner, and AirPlay. The retail price for the Lifestyle is $48,000. The Chord Hugo TT is a headphone amplifier-DAC combination. Patterned after the company's Hugo, released last year, the TT is similar but is a desktop version. The TT features several upgrades over the original model, such as XLR outputs, which the original Hugo did not have. The TT also has a galvanically isolated USB input for better sound quality. The Hugo TT's price is $4795. Nordost has introduced a line of pro audio products called Ax Angel: a power cord (1m length is $200), an instrument cable ($250 for 3m length), and patch cords ($160/pr. for 9" lengths). 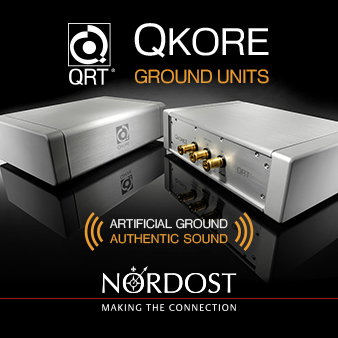 Also from Nordost are two new QB8 power distribution blocks. Both QB8s feature eight outlets and are said to be significantly upgraded over the original model. The upgrades include a better chassis frame, heavier traces on the boards, and larger-gauge wire (20A model). The retail price is $1599 for the standard 15A model and $1899 for the 20A version. The Simaudio Moon Neo 280D Bluetooth-enabled digital-to-analog converter was being shown for the first time at CES 2015. The 280D decodes up to quad DSD with Simaudio's own proprietary DSD platform, and will also handle DXD (24-bit/352.8kHz PCM) and up to 32/384 PCM through its USB input. The price for the Neo 280D is $2200. Parasound showed the latest addition to its Halo line of products, the Halo Integrated. Based on the same John Curl-designed circuit topology of its Halo A 21 and A 23 power amplifiers, the Halo Integrated is said to produce 160Wpc into 8 ohms with both channels driven. It also has a home-theater bypass and a subwoofer output with variable low- and high-pass filters. There is also a phono stage with settings for MM and MC cartridges, and a DAC that uses the ESS Sabre32 Reference DAC, which supports PCM up to 32-bit/384kHz and DSD over the asynchronous USB input. As with all of Parasound's Halo products . . .
. . . the build quality is outstanding, with a massive toroidal transformer and a densely packed but clean layout inside the solid chassis. The Halo Integrated is priced at $2500. The SVS Prime 5.1 Satellite system features five of the company's Prime Satellite speakers (pictured above) and a powered subwoofer for under $1000. The Prime Satellite, part of the new Prime series of loudspeakers, features a 1" aluminum-dome tweeter, an aluminum faceplate, and a 4.5" stiffened polypropylene cone. The system is completed by the . . .
. . . SB-1000 subwoofer, which has a 12" driver and a 300W amplifier. By purchasing the 5.1 Satellite system, the consumer saves $175 over purchasing the products separately. The Prime 5.1 Satellite system is shipping now. Kohei Teramoto demonstrated the new Diasoul i loudspeaker, which is a three-way, seven-driver speaker system that features the NW1 active crossover (not shown). The single 160mm midrange driver and dual 250mm bass drivers are each housed in separate enclosures and have NCV (Nano Carbonized high Velocity) diaphragms. The four 32mm tweeters . . .
. . . which feature boron-carbide diaphragms manufactured by Mitsubishi Electric, are housed in their own spherical enclosure. According to Teramoto, the speed of the boron-carbide tweeters is second only to diamond. Furthermore, the significant amount of energy provided by the large radiating surface of the four tweeters results in a very big sound with good ambient energy. The Diasoul i isn't cheap, though -- it will be priced at over $80,000/pr. when released. Paradigm introduced its Prestige series of subwoofers, which are designed, engineered, and hand-built in Canada, to complement its Prestige series of loudspeakers. Two models will be available: the 15" Prestige 2000SW (pictured) and the 12" 1000SW. Both will feature PAL (Pure-Aluminum Cone) woofers with ART (Active Ridge Technology) surrounds. 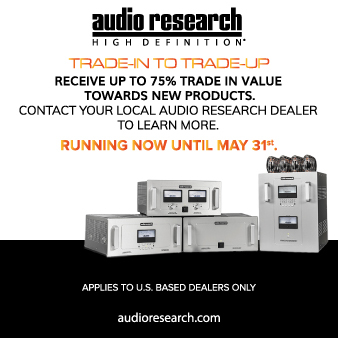 The 2000SW features a 2000W (3400W dynamic peak) amplifier, and the 1000SW has a 1000W (1700W dynamic peak) amplifier. Both come with Paradigm's PBK (Perfect Bass Kit) room correction and will be available in Walnut, Black Walnut, Piano Black, or the company's gorgeous Midnight Cherry finish. Prices for the subs are yet to be determined, and they are projected to be available in the spring of 2015. Paradigm was also showing three wireless DTS Play-Fi-enabled products. The PF 800 pictured to the left is a powered speaker (115W) with two woofers and two tweeters. The PF AMP in the center provides 100W into 4 ohms, allowing any passive speaker to be used with the Paradigm Shift Play-Fi system. The PF 600 powered speaker on the right has two tweeters, but only one woofer and a 200W amplifier. Best of all, these products all feature ARC (Anthem Room Correction). Prices for the Paradigm Play-Fi products are also yet to be determined, and they, like the Prestige subs, will likely be available this spring.